First impressions are everything. 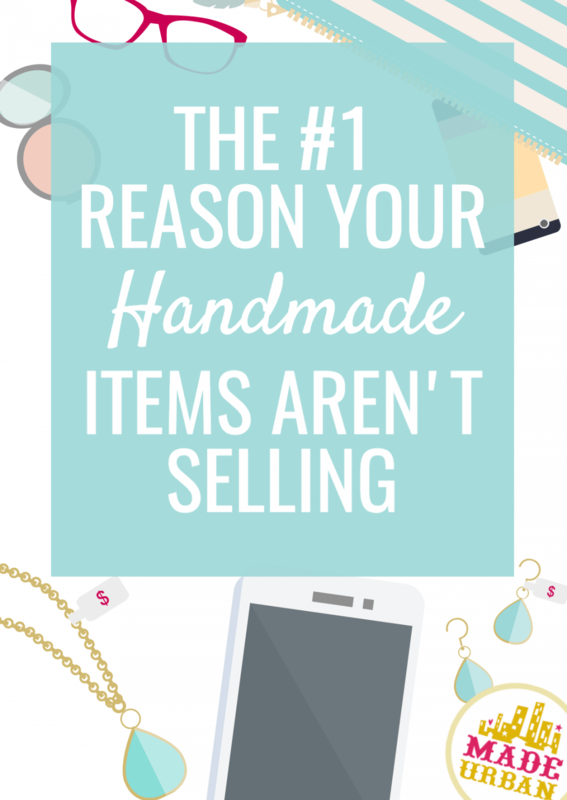 And if your handmade items just aren’t selling, it could be because your business’ first impression is leading consumers to believe your product’s value is less than the price. There is so much that can either contribute or detract from the perceived value of your work. The trick is to get shoppers to put a high value on your products before they even look at the price tag. That way, when they see the cost, they either think: whoa, I totally thought it was going to be more expensive or yup, that price seems right, I’d totally pay that. But before you can make that first impression, you need to be found. Wondering why you may not be getting as many shoppers as you could?…..
USP stands for unique selling position and it’s something I see the majority of handmade businesses skip over or define incorrectly. I know your items are handmade and each one is unique because of that, but what makes your products different from the ones people can find in stores or buy from another vendor? Being made by you and being your designs just isn’t enough to stand out and get sales. Your USP must clearly tell shoppers why it’s better to buy from you. If you can’t find a good reason, shoppers won’t be able to either, which means; no sales. Your products should have a common theme and you should be THE vendor to come to and who shows up in searches when someone is shopping for something specific. Consider what people look for online; specific, hard to find items. Is someone more likely to type “bag” into Google when looking for a new bag? Or will they look for a specific type of bag? “Black and white backpack diaper bag” is actually something someone might search for. And if you’ve narrowed your products down from selling all types of basic bags to a niche product (e.g. backpack diaper bags), you’re going to build a name for your business and quickly climb the search engine ranks. And what about when people are shopping at a craft show? They’re looking for cool handmade products they can’t easily find at the mall or have shipped to their door. Craft show shoppers want to discover. You’ve gotta offer something different that makes shoppers feel they need to buy today or it’ll be hard to find tomorrow. If you need help uncovering your USP and defining it in a sentence, I’ve dedicated a full chapter in my new ebook HOW TO SELL HANDMADE BEYOND FRIENDS & FAMILY which shares the exact steps to crafting your USP. I also share a formula from that chapter in my FREE 5-day challenge: BEAT LAST YEAR’S SALES. It’s a simple USP formula that will help you craft a powerful USP. You can sign up for the challenge below. Once you’ve found your USP and people are finding your products, the sale is yours to lose. Be sure you’re not making these other common mistakes. Here are 5 more reasons your products aren’t selling. This one is soooo important when it comes to selling handmade and is the best way to increase the perceived value of your products online. Your photos are your business’ first impression online and a tool for helping shoppers make decisions. If you’re quickly setting your products down on the first flat surface and snapping a pic without thinking about lighting or composition, you’re instantly lowering the perceived value of your products. Once people find you online, you need to get them “through the door” to make that sale, which your photos will help you do. If your thumbnail photos or the images you post on social media don’t get people to stop and click, it may be the reason your handmade products aren’t selling. Example: Craftsposure is one of my favorite Instagram feeds for amazing shots of handmade products under a variety of categories. Check them out for some great examples of eye-catching photography. There are too many social media sites out there to keep up with all of them and neglected accounts can make visitors wonder if you’re even in business. Choose the ones that work best for you and focus your time there. You also want to be thoughtful of what you’re posting. Be sure to keep each post professional and provide value. Picture someone standing outside of their store shouting what they have for sale and the promotions they’re offering. Comes across as being a little desperate for sales doesn’t it? And you’d likely avoid walking past their store in the future. Constant self promotion and hard selling on your social media pages can lead people to believe your products aren’t selling and will ultimately lower the value of them in their minds. Consider your niche and the person you’re selling to. Which topics are they interested in that relate to your products? For example, a vendor selling backpack diaper bags may share posts about latest tends in handbag colors and prints (which they happen to offer), dealing with a fussy baby in public and what to have on hand (which can fit in their diaper bag) or quick tips for busy moms when it comes to fashion or items that might go in a diaper bag (best diapers, how to clean toys, traveling with bottles, etc). Be sure you mix in informational, inspirational or interactive posts so your feed is interesting and helpful to your followers. Example: Fitbit is a good example of a Facebook page that provides value. They’re not trying to sell you a Fitbit in every post. In fact, at the time of writing this, I couldn’t even find one post directly selling a Fitbit. Instead, they share useful content that encourages a healthy lifestyle and their product is more of a side note on how the device can help. Even if I didn’t own a Fitbit, I would still find value in their posts. You may also be interested in our article: ARE YOU WASTING YOUR TIME WITH SOCIAL MEDIA? HERE’S HOW TO TURN LIKES INTO SALES. It’s worth it to invest time or money into website design to be sure the right message is being instantly conveyed. You literally only have a few seconds to convince site visitors to stay and click around. If people are confused on whether or not they’re in the right place, what you’re selling or where to click, they’re going to bounce right out of there and leave you wondering why your items aren’t selling. Ensure your brand’s message is apparent as soon as people arrive. If you visit a website with a tagline boasting elegant high-end jewelry but the site is dated and full of flashing ads, you’re going to wonder if the vendor knows what “high-end” means. Every aspect of your website should reflect your brand. From the images and text to the layout and navigation. If your brand is elegant and high-end, your website should look and act the part (no broken links, bogged down code that slows loading times or blurry images). If you already have a website, ask a few people for their feedback on it. Do the words they use to describe it match the message you’re trying to convey? If not, it may be time for a re-design. Example: Blo is a company that really opened my eyes to what great branding is. They’re fun, modern and edgy and that comes across in every aspect of their business, including their website. The website is clean, simple and super easy to click around. You instantly get a feel for their vibe, understand what they’re offering and are able to find a location or book an appointment. The hot pink color and font style give the site a cohesive look and represent their brand. If you had previously received a piece of their marketing material, visited a salon or followed them on social media, you would know the second you land on their site, you’re in the right place. I also love their fun illustrations under BLO SERVICES which show you they know the latest trends in hairstyles. If your products aren’t selling at craft shows, it could be that your craft show table or booth is lacklustre. From your tablecloth and props to your product arrangements and you, every aspect that surrounds your products at a craft show can add or subtract value from them. Make sure you’re choosing display elements that work with your brand, strengthen its message and increase your product’s value. Don’t leave your display as an afterthought and ransack your home for baskets and racks to showcase your work on. Consider the message you want to send and then brainstorm how you can communicate it. Your display is what draws shoppers over and makes them feel they must stop at your space. It’s the equivalent to walking through the mall and deciding which stores to stop in. You can’t go into every store so you decide based on their window displays. They tell you if the store carries items that are a fit for your style, interests, etc. Your craft show display is like a window display. Get creative and think about how to create a unique space for people to shop in. If you’re setting up a booth at a craft show to sell your handmade bath and body products, you could create a spa-like environment so people imagine using your products at home for a mini spa day. Tranquil music, soft colors, the scent of lavender and herbal tea to sip (*if allowed by the organizer and local laws). It would make anyone want to stay a while…which gives you an opportunity to share your USP and encourage a sale. The surroundings and the way someone is treated in your space will also increase or decrease the perceived value of your products. Example: We’ve pinned a bunch of effective craft fair displays to our Craft Fair Tables & Booths board. There’s a lot to think about when it comes to your display but it should have a cohesive look, include eye-catching elements and make use of zones and compositions to lead the eye/customer through your space. You also want to keep your shoppers in mind. What will they see first as they approach? Hopefully your top-selling product is in clear sight. Does your set up encourage people to touch and pick up items? Does it make them think of gift giving? I explain these points further in my e-book: MAKE MORE MONEY AT CRAFT FAIRS and share a ton more ways to create a display that adds value to your products. Sign up for the FREE 5 DAY CHALLENGE which includes a free sample chapter from my ebook (CH 1 – MAKING PRODUCTS THAT PROFIT). It also shares 5 easy to follow, actionable steps to build a craft show display that gets you sales. How you write about your products and the way you speak about them can change a shopper’s perception of them. If you’re quickly naming, describing and scribbling out signs, the lack of attention to the keywords you use could be the reason your products aren’t selling. Imagine dressing up and going out for a fancy dinner at an elegant restaurant. The environment is lovely and the food has gotten amazing reviews but when your server walks up, they say: “Hey, how’s it goin? Just thought I’d let you know the chicken is on special. What do you want to drink?” It would detract from your “fine dining” experience wouldn’t it? If instead the server said: “Our feature this evening is a pan seared chicken breast in a white wine sauce, garnished with fresh parsley” it would make their chicken special sound a lot more elegant, expensive and enticing. Product Names – would you type in “handbag” or “coral aztec print diaper bag” when searching for a diaper bag in this season’s colors and prints? If you want people to find your products in their searches and put more value on them, be detailed with your product names. *bonus tip: if you can add a relevant benefit to your product name, even better! “Washable Coral Aztec Print Diaper Bag” would be appealing to moms and they may even specifically search for “washable diaper bags”. The first description shows lack of effort while the second communicates the benefits of the bag, helps the shopper imagine how they’ll use it and points out the social currency they’ll gain (owning a bag in this season’s color trend makes them look much cooler;). Need help writing descriptions? Check out my free series on the blog: PRODUCT DESCRIPTIONS THAT SELL. It shares the key to selling through your descriptions and even included examples and fill in the blank templates to make writing descriptions quick and easy! Signage – Your product names and selling features should be pointed out in your signage at a craft show as well. You won’t get the chance to go into depth with every shopper so your signs should be used to share important messages that help people see more value in the products you’re selling. Bio – this section should be used to show your credentials, point out how you’re different from your competitors and build a connection with your site visitors. Think of who you’re speaking to and what you may have in common with them. Random facts are okay to share but question whether they’re relevant to your brand or products and if they’ll add value. Your bio should answer the question: why you? Why should someone buy from you over the next person? Sales pitches – when you’re selling your products at a craft show, you want to say the right things that will help shoppers understand the benefits of your products. 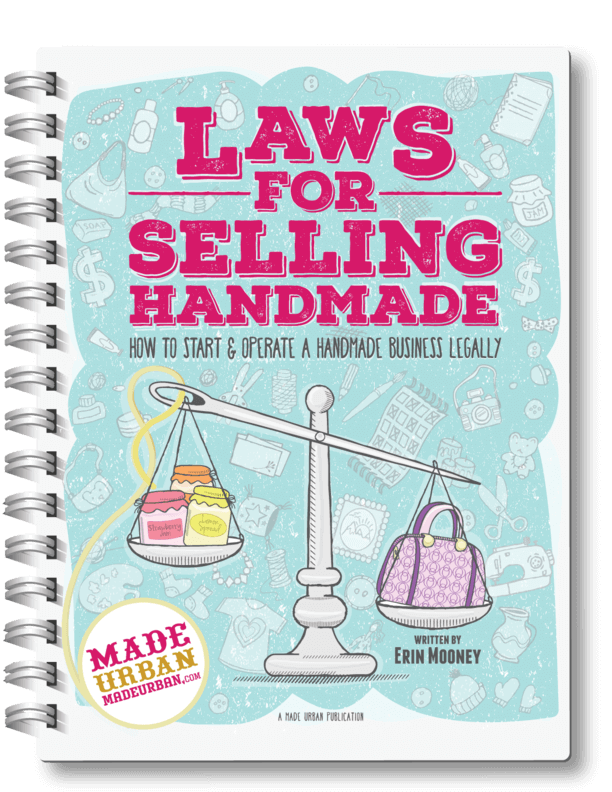 If you don’t know what those are or how to communicate them properly, it could be the reason your handmade items aren’t selling (Chapter 9 can help with that!). Imagine car shopping and having the salesman point out the buttons, show you how to start the car and where the trunk is. These are all things you can easily figure out on your own. What you want to hear is how the back seats fold down and that you can easily fit a kayak and paddles in there so you know it’s perfect for your outdoor adventures. Example: I’m going to use Blo again in this example. Have a read over the copy on their website and you’ll see why. They have a lot of fun with their text and can even get a little risque with it. But it strengthens their brand and adds to the overall experience. The names and descriptions of each hairstyle they offer, show they’re on top of current hairstyle trends while helping the customer imagine the look and where they might wear it. They keep this language consistent across every area of their business: in salons, marketing, social media, etc.